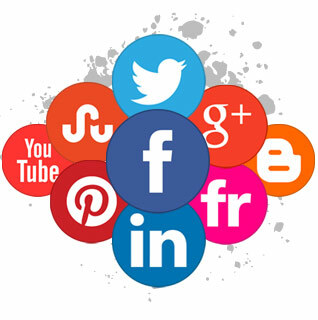 Social media creates social activity and brand awareness around your website and business. Many companies have social media accounts that are dormant or not used effectively and this is where we come in. How should social media be used? Social media is just that, “Social” It needs to be lighter and less business without losing the business identity or touch completely. It should be used to promote your brand and services, but most importantly to be SOCIAL. As Social Media is a time consuming daily task, we will administer your Social Network on your behalf. Facebook is the largest Social Media platform in the world with a very large demographic. Facebook has become an everyday task for many of us. You wake up in the morning and the first thing you do is update your status. But on top of the day to day social aspect of Facebook, businesses are also very busy on Facebook. Your business should have a Facebook Fan Page. This, in short, is a mini version of your website but on a social level. Your clients and friends have to “Like” your page to view the social feed that needs to be generated from your Fan Page. If you are familiar with Facebook, you would notice that in the sidebar of Facebook there are various ads that will direct you to a Facebook Fan Page. These ads will only display to pre-selected demographics. The demographics that you would like your ad to display on are determined by age, occupation, location, interests etc… This information is drawn from Facebook users. Facebook ads are not compulsory to have a Fan Page. However, they will increase the chance of being found. Duper offers a service where we generate content/posts on our client’s behalf. After client approval, we post the generated posts on the client’s behalf at strategic times. Any leads generated through a fan page is redirected to directly to the client. Facebook also has a Pay Per Click option where we generate adverts and target them to a very specified demographic. The concept of Twitter can be complicated to understand. We follow people and companies that have the same interests as our clients business or brand. The goal is that they will follow you back. If people or business follows you back, they will see your Twitter feed. The setup process is very time consuming but it is worth the time once following increases. Tweets need to be posted on a regular base. Tweets can be generated about a clients core business, your industry related news and general interests. Creating a twitter conversation can really help with promoting a brand. Again, we will run our clients Twitter campaign on their behalf. Social Media is time-consuming but that is where we come in. Twitter is also active is the PPC market to gain additional exposure.